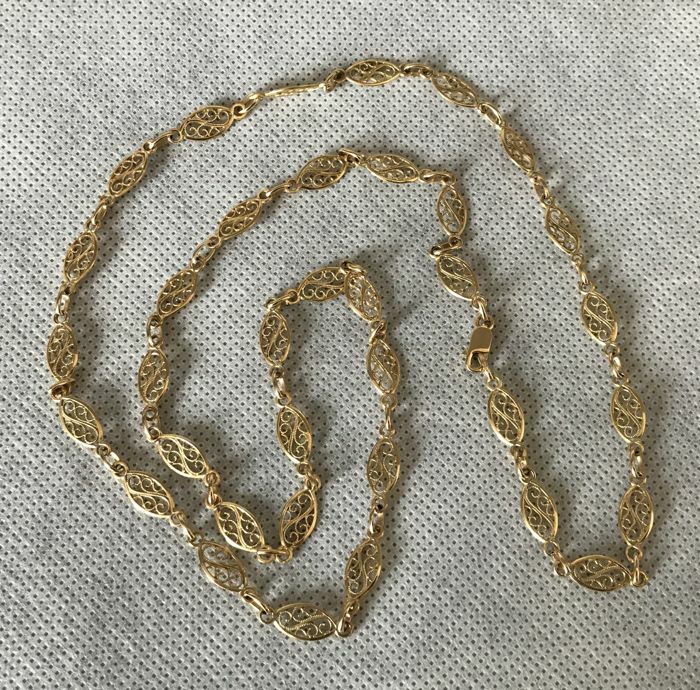 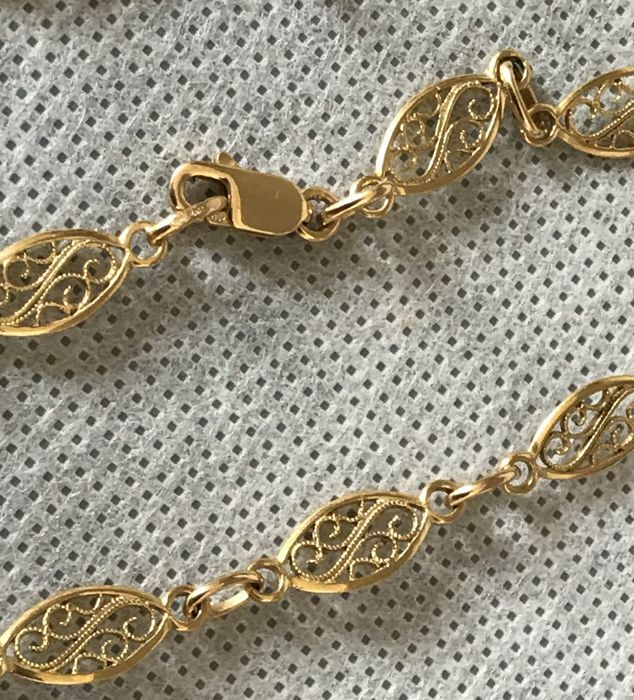 Beautiful French necklace with oval filigree links with small plain joining link in between. 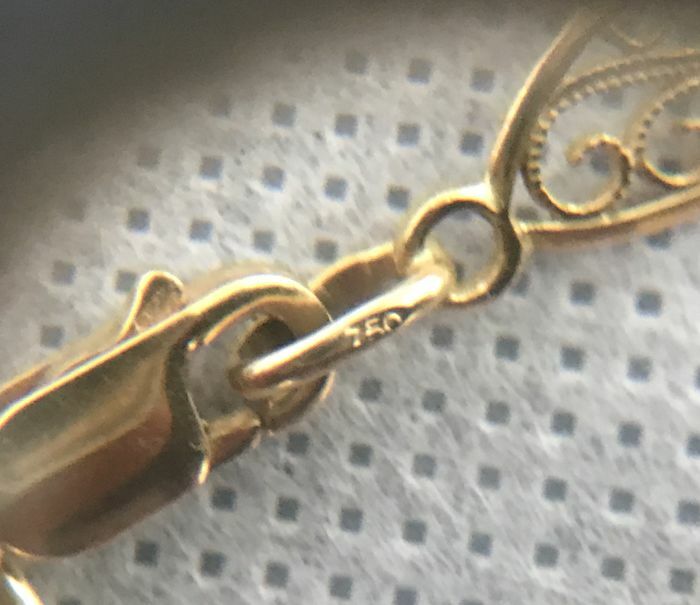 Stamped with the head of the eagle on the small link as shown in the photo and also 750 on the closure of the lobster clasp. 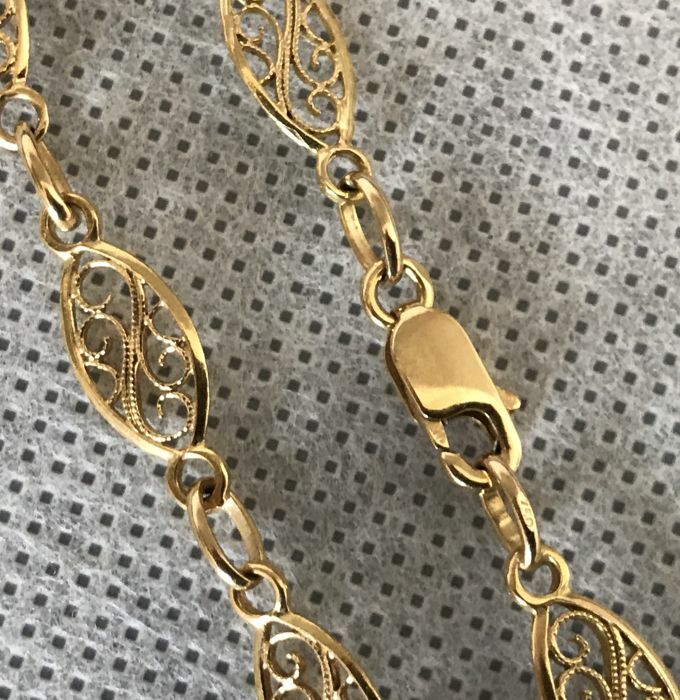 The necklace is 70cm full length and therefore is also classed in the category of sautoir. 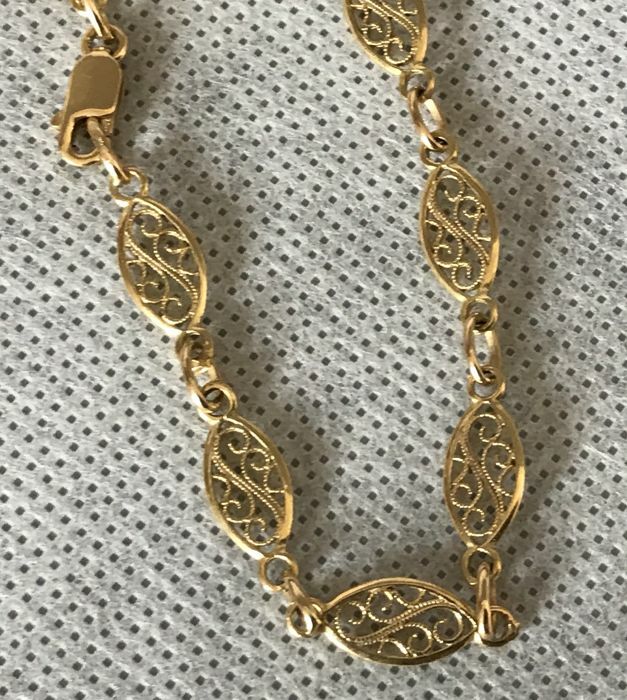 It is a relatively heavy yet easy to wear and weighs 16.6g.